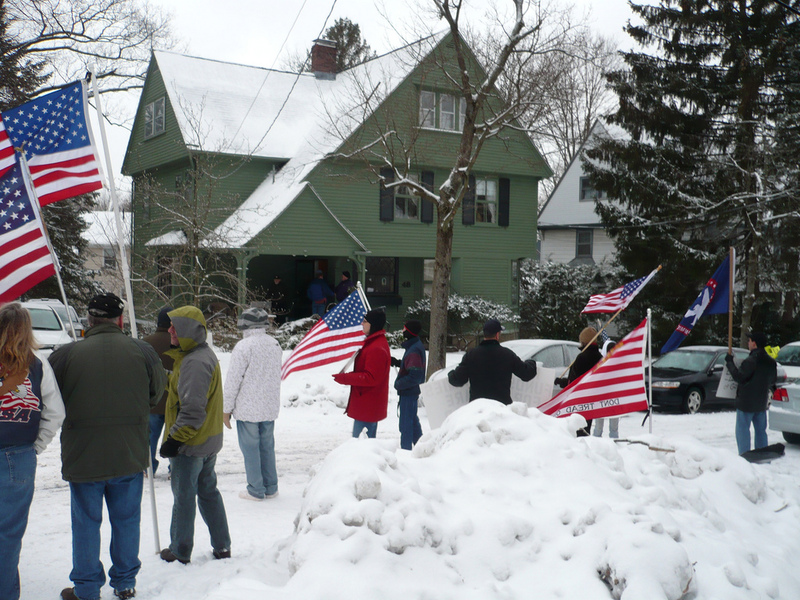 Two years ago to the day the Gathering of Eagles paid a visit to Howard Zinn and his lefty cronies at his home in Newton, Massachusetts. 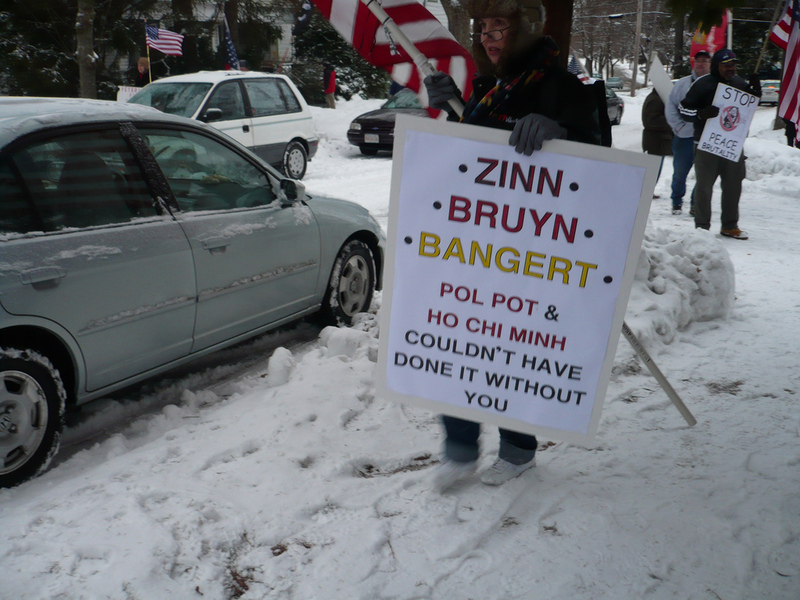 He was having a fund raiser for the IVAW to help their Winter Soldier project. Can’t say I’m sorry he has left this mortal coil. Hope he packed lots of warm weather gear. What we have here is a massive failure on the part of this administration to identify the enemy and prepare a strategy and tactics with which to defeat them. The failures just continue to mount and paint a picture of collusion and incompetence which are actively endangering the citizens of the United States. 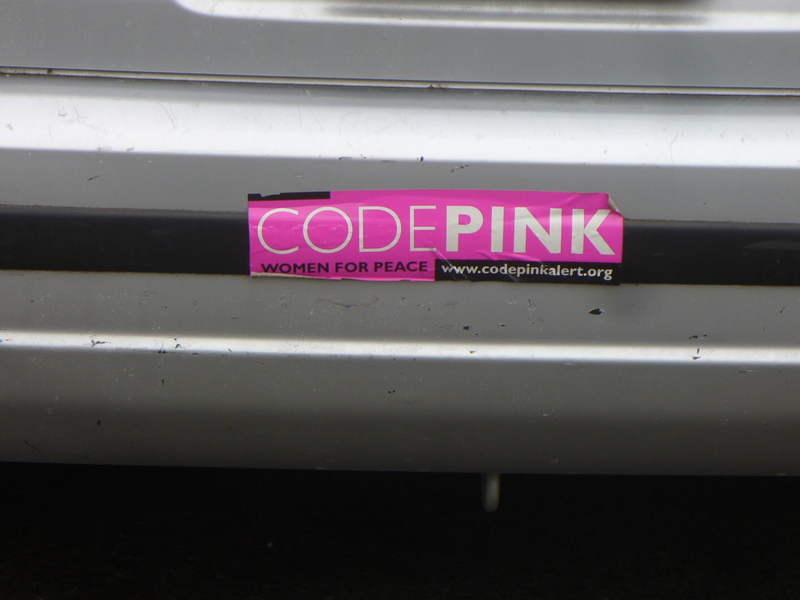 Refusal to use the term “WAR” to describe our conflict with radical Islam. Attorney General Eric Holder’s failure to recuse himself from any decision regarding the Gitmo detainees in light of his law firm’s strenuous efforts to delay military tribunals for those prisoners. Halting all tribunal actions even in cases where the detainees had pled guilty or been found guilty. Deciding to move detainee jurisprudence from military tribunals to civilian federal courts where these terrorists whose intent is the destruction of the United States will be given the full rights of American citizens. Failure to transfer custody of the Detroit aircraft bomber to Intelligence or Military custody for intense questioning regarding his claim that there are more terrorists in training to execute similar attacks. It has become apparent that the Administration’s policy has risen to a level of threat to the citizens of the United States that it deserves its own name, Lawfaregate. 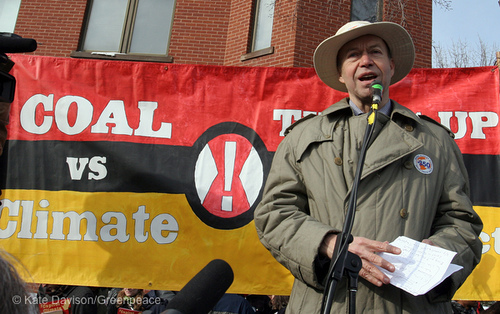 James Hansen, the NASA ‘scientist’ in charge of the Goddard Institute for Space Studies (GISS) is a radical environmentalist whacko and proponent of genocide. Before the Global Warming craze he was a proponent of the theory that the world is coming to a new Ice Age. Hansen, who was back in the news today commenting on a NASA press release that claims the last decade was the warmest on record, said that Keith Farnish, author of a new book called Time’s Up, is correct in calling for acts of sabotage and environmental terrorism in blowing up dams and demolishing cities in order to return the planet to the agrarian age. It is long past time for the eco-zealots to be flushed out of GISS and their other federally funded bastions! 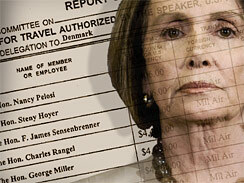 In the meantime Nancy Pelosi and her entourage racked up huge expenses in their attempt to sign away American sovereignty in Copenhagen! They’re starting to call it Climate Expensegate! We need to throw all of these bums out in November! For Your Combat Boot Fetish! Some guys just can’t get enough of their Combat Boots! Watching Uncle Jimbo’s latest video I am beginning to understand why. Miss America contestants don Combat Boots to support the When They Come Back campaign! Uncle Jimbo is with the Warrior’s Legacy Foundation, and gets all the really cool video assignments, thus proving the maxim that it pays to know people in low places! You can read more of Uncle Jimbo’s daring exploits here! 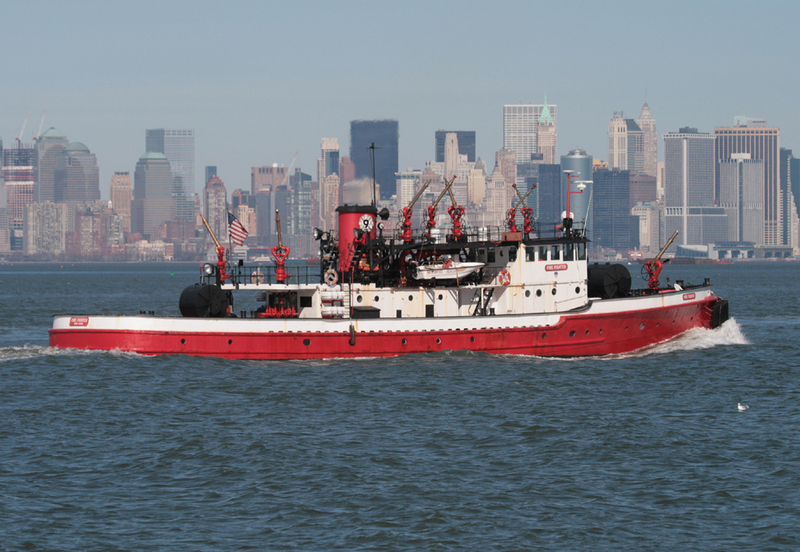 After 70+ years of service the heroic FDNY fireboat Firefighter is scheduled to be retired from service. This boat, a wonder of engineering, has special meaning to me personally. Built in 1938, this was one of the first assignments my father had when he joined the fire department in that year. Many years later his grandson, my nephew, served as Marine Engineer on this boat during its heroic efforts at the site of the World Trade Center attack of 9-11. For days, the Firefighter, her FDNY sisters and even the retired fireboat John J. Harvey were the sole sources of water to douse the flames in the “pile”. All the water mains in the area had been severed by falling debris from the collapsed towers. More pictures of the Firefighter and her sisters are here and here. As we prepare to bid farewell to a hero, a new fireboat has been launched for the FDNY and a second, named Firefighter II, is on the slips to replace her. On September 11, 2009, the fireboat Three Forty Three was launched in Panama City, Florida. Named to commemorate the 343 firemen lost on 9-11, the new boat has a great reputation to live up to. FDNY Marine 9 website is here. AAR: In Search of Carolyn McCarthy Yet Again! 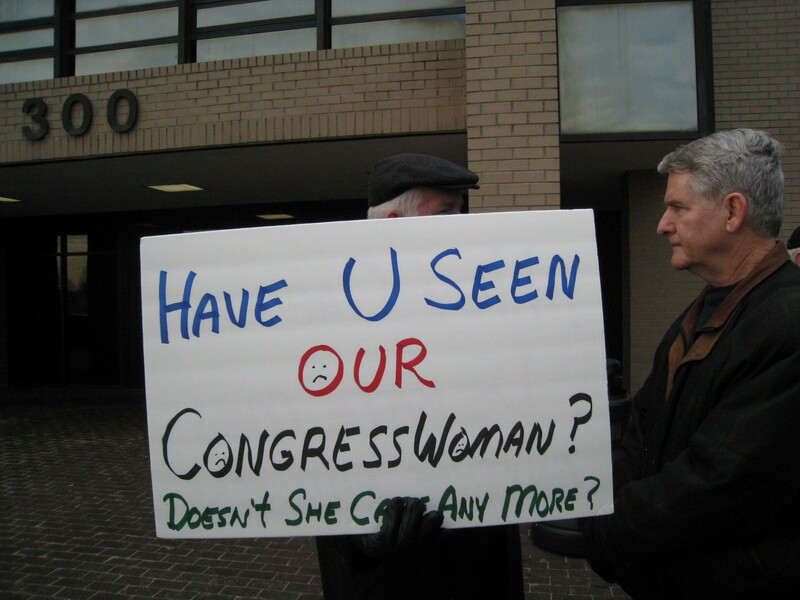 We joined other patriotic groups in a search for Congresswoman Carolyn McCarthy on Friday! Coincidence? Just because McCarthy continues to vote in line with all the radical socialists like Pelosi and Reid in the Congress, can we really make any assumptions about who she associates with? More on the McCarthy protest here! The Working Families Party, part of the axis of corruption in democrat politics, is headed to trial tomorrow in Staten Island. ‘Enough already,” Jus tice Anthony Giacobbe sternly said yesterday at the Richmond County Supreme Court on Staten Island. He was admonishing attorneys representing the Working Families Party and its for-profit corporate arm, Data Field Services, for suddenly disclosing hundreds of pages of documents that they should have supplied long ago. Lie, hide, obfuscate. It’s the ACORN way. Not satisfied with returning the state of our national security to a level befitting their disastrous pre 9-11 policies, the democratic senatorial campaign committee released an attack ad which used the World Trade Center as a backdrop to an image of Scott Brown while they accused him of supporting greed. Reminiscent of the Ward Churchill charge that the towers were filled with “little Eichmanns” the latest usage reinforces the lefty image that the towers were a symbol of greed and those that perished in them deserved their fate. It is an absolutely despicable meme and so inherent to their thinking that they blindly include these images without the slightest thought to how they will appear to the families who lost their loved ones in the horrible attack. The sooner these people can be voted out of offices where they can do more harm the better. 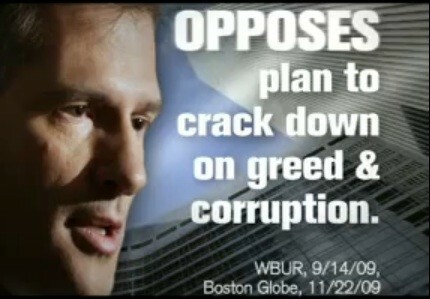 To support Scott Brown against the people who would dare smear the heroes of 9-11 go here.